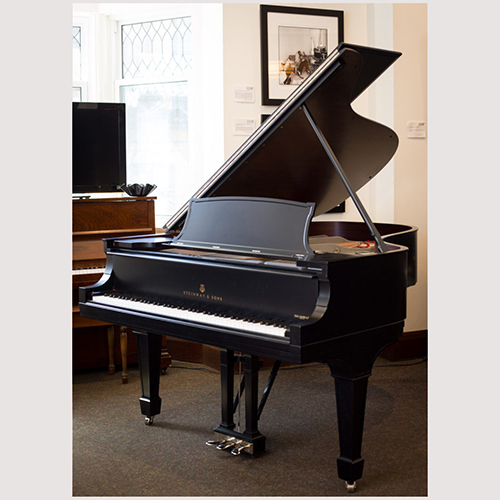 The Steinway Model A3 is where the model A family makes a big step in both size and sound. Measuring 6’4 ½” long, the Model A3 is much larger than the previous Model A Grands and features a greater power and range of tone. It is considered to be comparable to what has been dubbed the ‘perfect piano’, the Steinway & Sons Model B. These pianos were more affordable than the Model B, were more manageable in size and produced a sound and power that was most definitely on par with the it’s 6’11” brethren. In 1913 and 1914 the Model A2 and A3 were both listed in Steinway prices lists and sold concurrently. This piano was a staple of the New York factory only and was not produced in Hamburg. (Hamburg continued production of the short scale Model A2). The Model A3 continued in production until the mid 1940’s. In 1945, the model A3 was discontinued by Steinway New York. Reliable rumours indicate that production ceased doe to the competition it created of the larger and more expensive Model B. We have completely restored this Steinway, including a new soundboard, pinblock and action. We have sprayed the plate silver, inspired by the ‘Sterling Silver’ Steinway, - a nod to the original nickel-plated hardware found on traditional Steinways. With some subtle modifications by our team of restorers, this is truly a modern piano, unlike any other. Price includes: •	Matching Bench •	Comprehensive pre-delivery service •	Ten year warranty •	Free Delivery within the GTA •	One year “Trade-Up” at full value •	One free in-home tuning.